Angel and Venture Capital finance assists entrepreneur’s with high growth ventures to capitalise on their potential. However, Angel Investors and VC Funds have their own methods of working and their own specific objectives. Unless the entrepreneur can present the venture investment proposal in their terms and in a form which meets the investor’s objectives, the funding request will be unsuccessful. 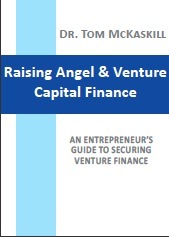 This book sets out how Angel and VC funding processes work, the criteria used to select investments and the processes used to manage those investee firms through to a harvesting event for the investors. This book assists the entrepreneur to prepare their business so that it is a compelling investment opportunity. Angel and Venture Capital finance has been successfully used by numerous entrepreneurs to develop their ventures and, as a result, create significant wealth for themselves. However, the sector is poorly understood by entrepreneurs and business advisors. What they fail to fully appreciate is that the objectives of the Angel investors and VC funds are rarely the same as the entrepreneur seeking private equity finance. It is only when the entrepreneur understands that he or she has to tailor the venture to meet the requirements of the investor and not the other way around that the parties have a real chance of working together. Private Equity and Venture Capital firms are in the business of generating a high rate of return for their investors, not in creating or building businesses. The objective of this book is to show the entrepreneur how they can create a business which assists the Angel Investor or VC fund achieve their objectives. In doing so, there is a high probability of raising finance. Angel finance and Venture Capital is not for everyone no matter how profitable the venture might be. These investors are not in the business of solving an entrepreneur's need for funding albeit that may be the outcome. They are simply there to achieve a high rate of return for themselves, their investors or limited investment partners. The entrepreneur who understands this and builds a proposal to meet that objective, should be much more successful in gaining venture capital finance.